We are pleased to announce that the community of Department of Advertising and Public Relations (ADPR) in PUP Manila is taking a giant leap forward and having an official reunion for its 50th year anniversary that will happen at the Plenary Hall of Marikina Hotel, Marikina City on March 22, 2015. 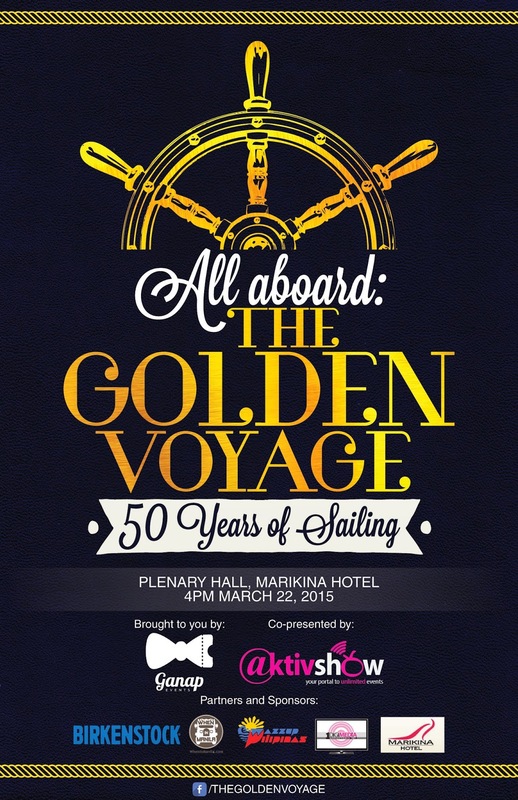 The festivity dubbed as ALL ABOARD: THE GOLDEN VOYAGE, 50 YEARS OF SAILING will begin exactly at 4:00 in the afternoon. Established in 1954, ADPR continues to produce dedicated expertly trained, technology- proficient, socially responsible and values-oriented, and globally competitive future advertising practitioners and entrepreneurs. Some of ADPR’s notable alumni are Jonathan Manalo (Director-Star Records), Marcelo Santos III (Author of “Para sa Broken Hearted”), Francis Homo (Art Director-IdeasXMachina, Jolo Moreno (Account Executive-Abracadbra Productions). This nautical dinner and cocktail party will be filled with fun and exciting activities such as talks from different personalities from the field of advertising and public relations, performances from the members of ADPR department, raffles and games—and with only a few days until show time, our team has kicked into full gear. Project head Lowie Eniceo along with his independent events agency, GANAP Design and Events, are committed in making this big production one that goes down in history.